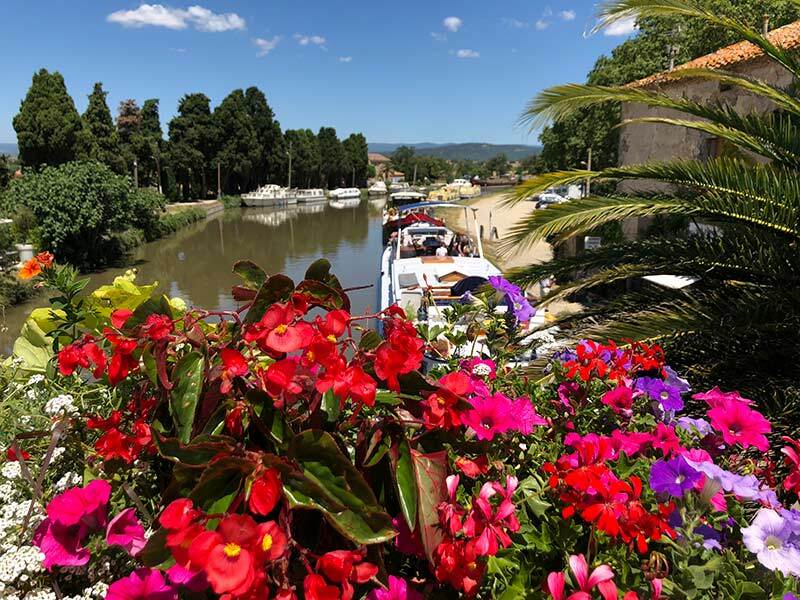 Six nights on board a luxury hotel barge is a French Odyssey indeed. 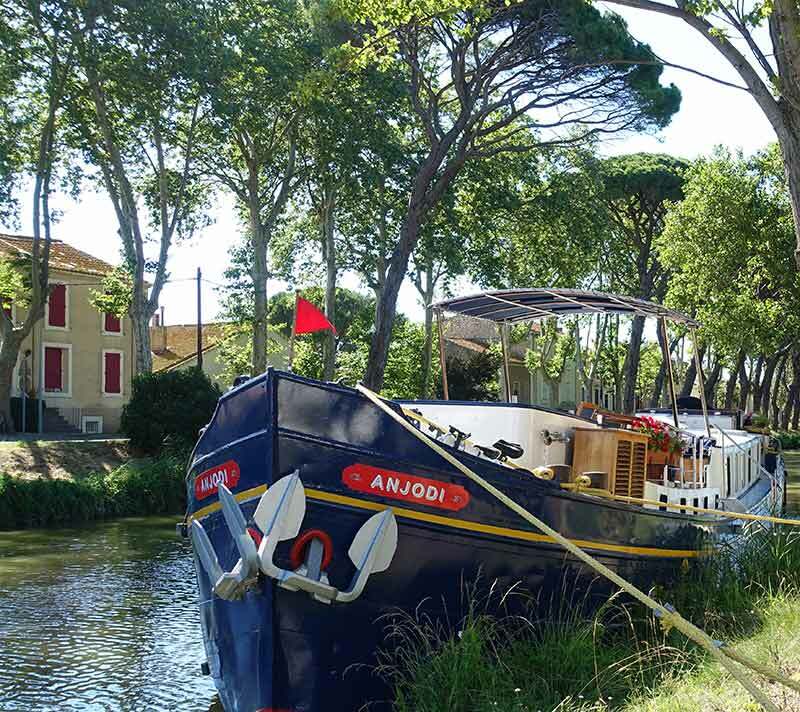 We were on board the luxury hotel barge Anjodi, operated through European Waterways. 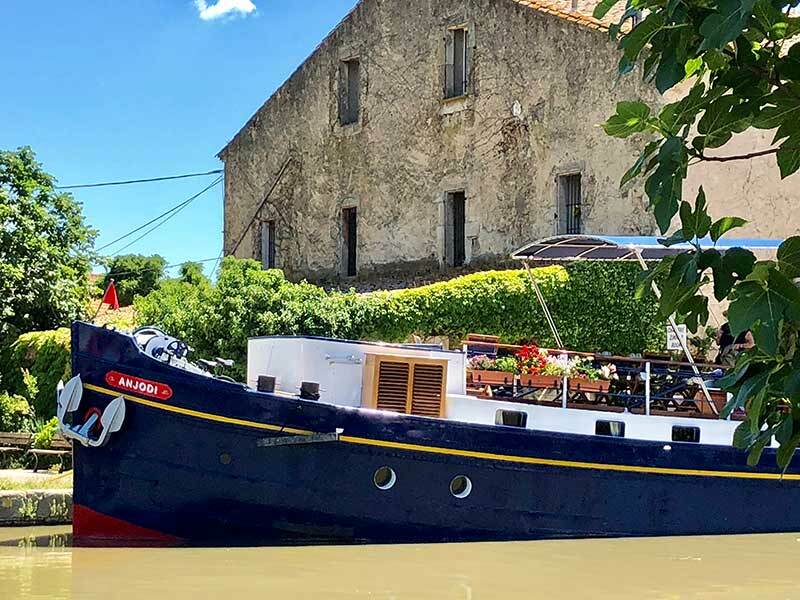 This is an all-inclusive cruise along the Canal du Midi in Southern France, a World Heritage site in the Languedoc area. It is all about relaxing, with a large dose of hedonism thrown in for good measure. 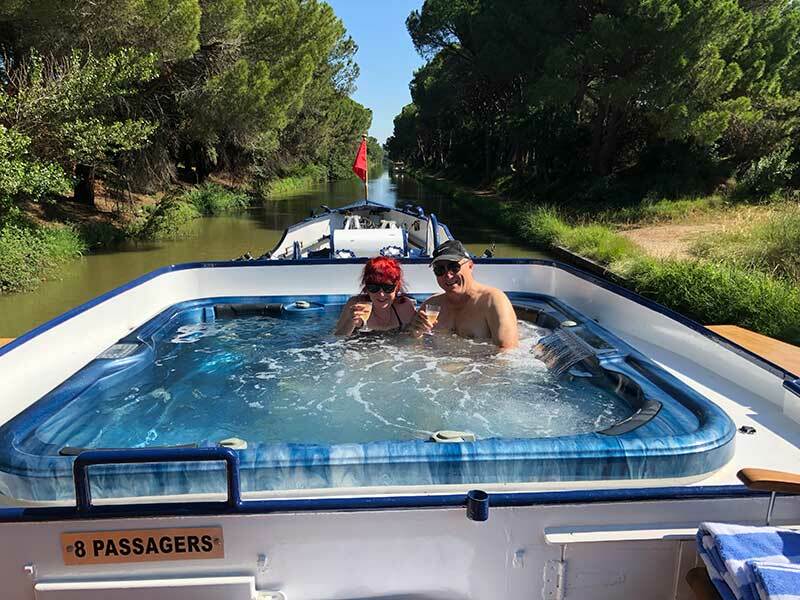 Barge cruising on the French canals has become a very popular way to travel, to relax and to embrace the pampering that comes with it. It’s a good life. 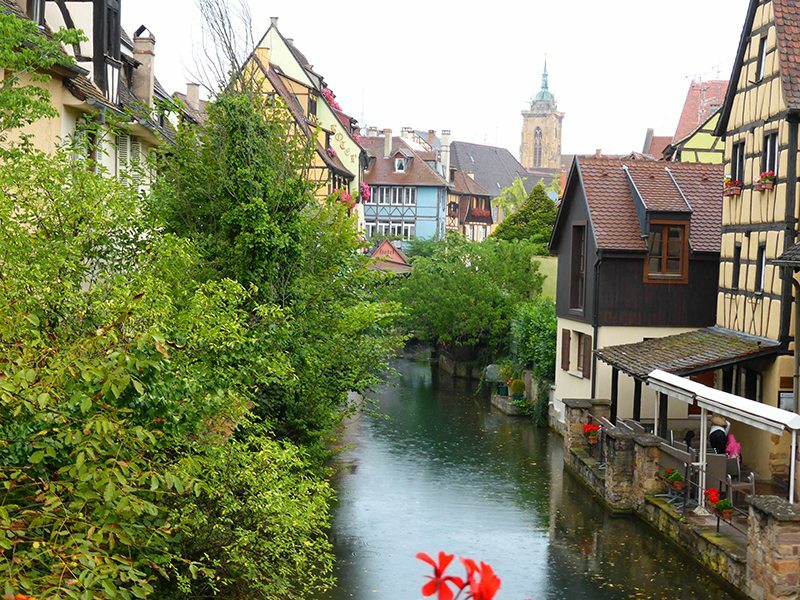 2 European Waterways know what they are doing. 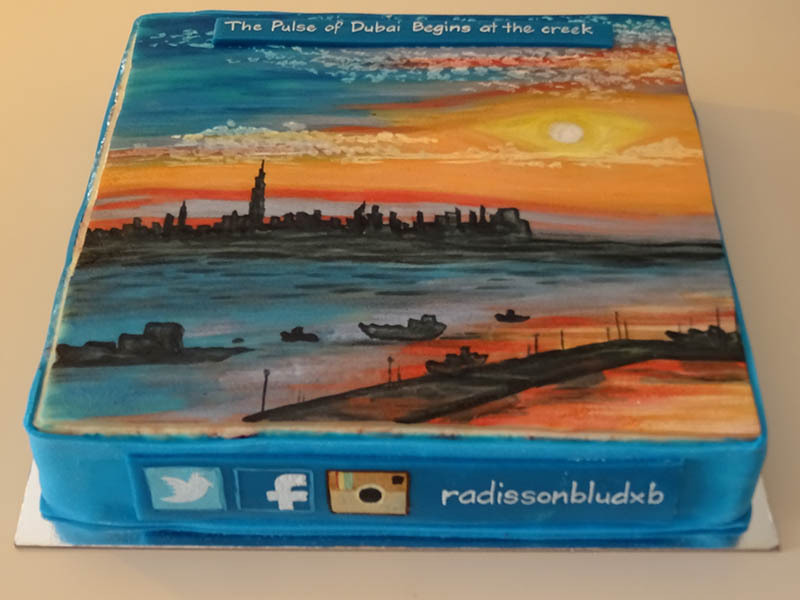 10 Questions about a luxury hotel barge cruise? 10.1 Is a luxury hotel barge only for old people? 10.2 Is it value for money? 10.3 Will I get bored? Picture this. Six passengers. Five staff to attend to our every desire. All food prepared by a talented and amazing chef. Our own experienced and delightful hostess and sommelier. 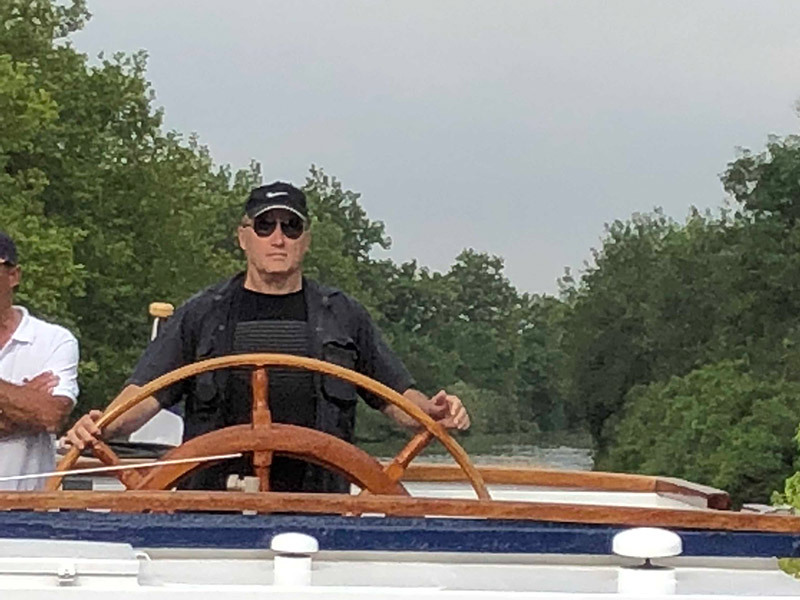 Two very knowledgeable tour guides for our daily ventures into the French countryside, and a captain who could glide into and through the locks and sail the barge smoothly along the canal, while keeping a vigilant eye that we were all being cared for. 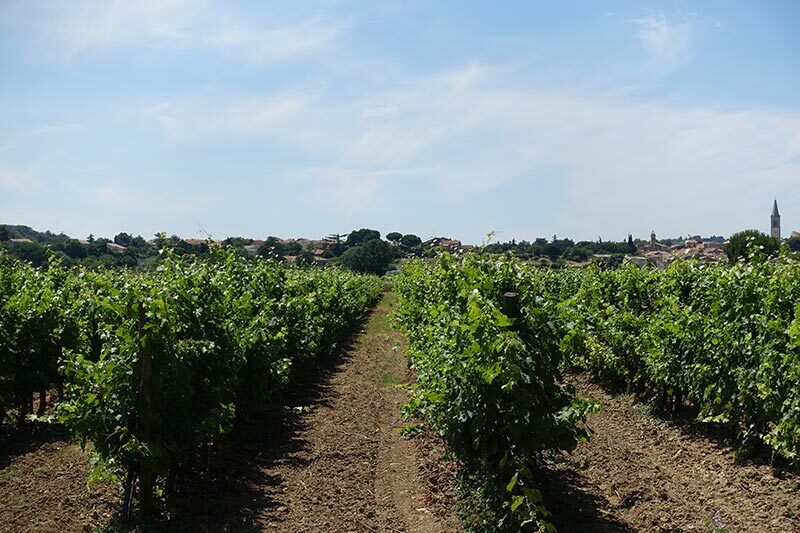 Imagine vineyards for as far as the eye can see. 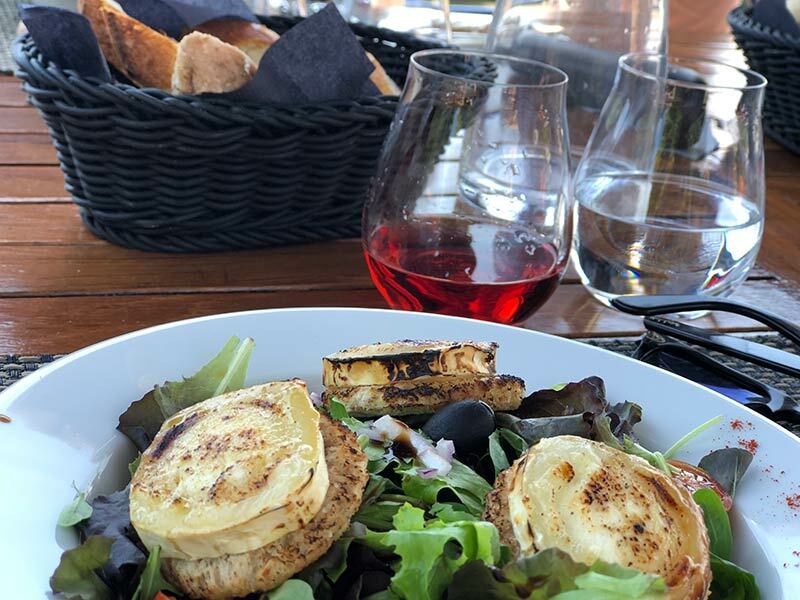 Little quaint French villages, châteaux and of course other friendly people exploring the Canal du Midi and being very spoilt. Sound ok? Well it was more than ok – it was amazing. European Waterways know what they are doing. 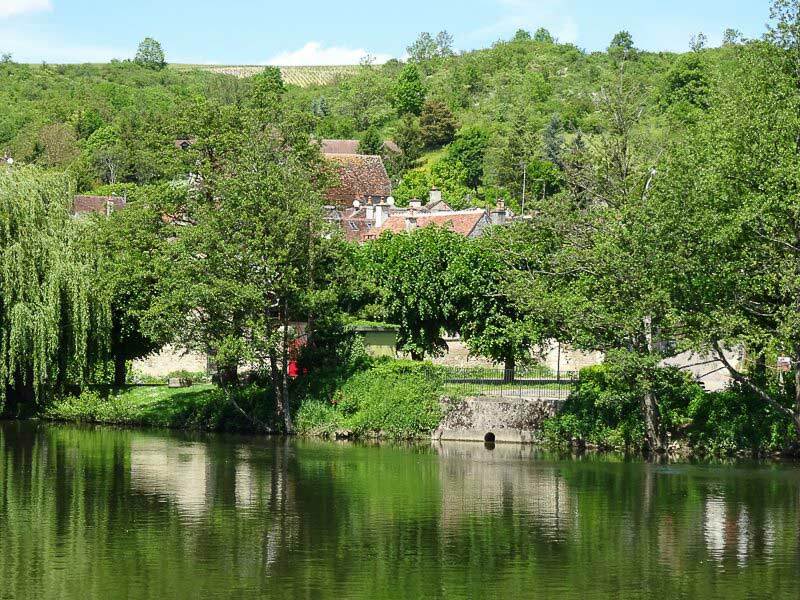 We had been lucky to have done a European Waterways tour a few years earlier on the luxury hotel barge, L’Art de Vivre, through the stunning Burgundy region of France, so we did have a heads up on how remarkable our trip would be, and the Anjodi and the staff and the surrounds, did not disappoint at all. Nor did the scenery, the food, the wine, the jacuzzi and our guided daily tours around the area. 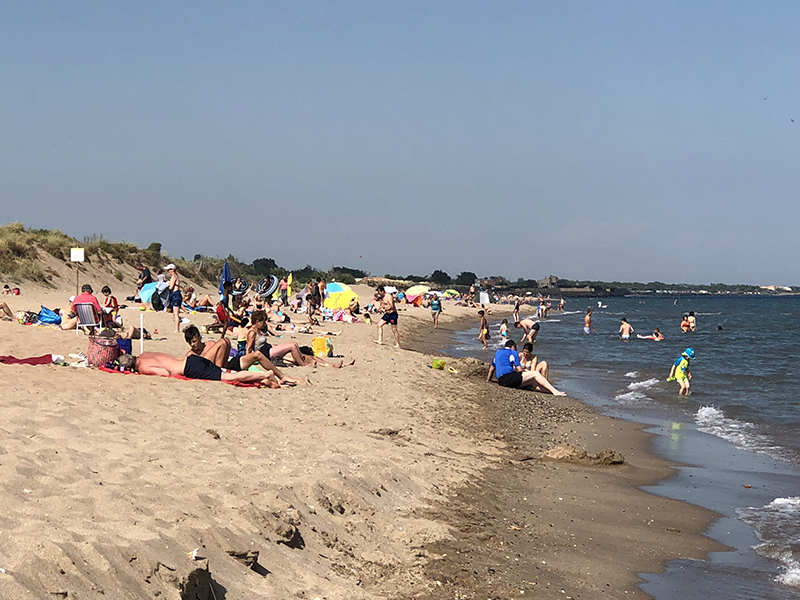 We sailed between Le Somail and Marseillan, which is only a distance of 72kms by car, but such is the languorous approach to sailing on a luxury hotel barge on the Canal du Midi that we took the six days. The Anjodi was the barge where chef Rick Stein filmed his French Odyssey culinary discovery tour. 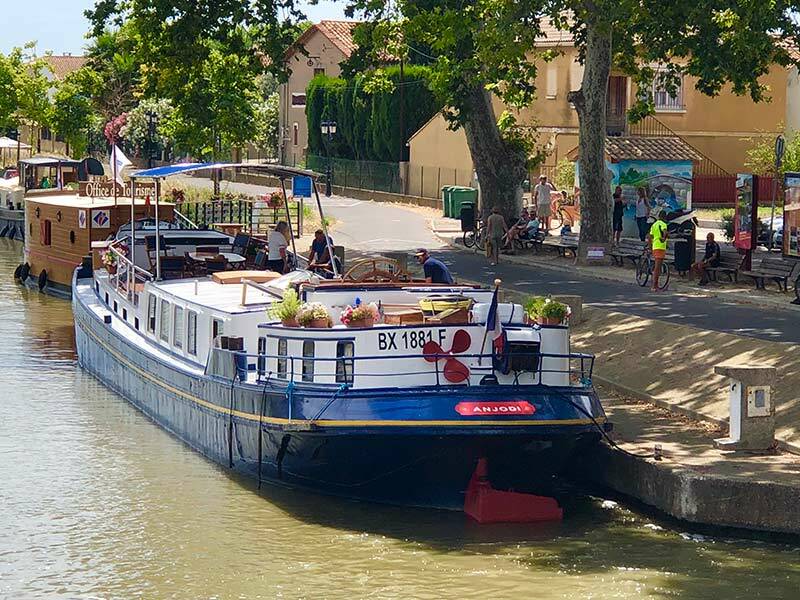 Famous singer Rod Stewart has also been a passenger, so she is a very special barge in a very special region of France. We were picked up from our hotel in Narbonne, France, in an air-conditioned minivan, and met our fellow passengers. We drove to our barge, the Anjodi, in the nearby cute little stone village of Le Somail where our crew waited for us. 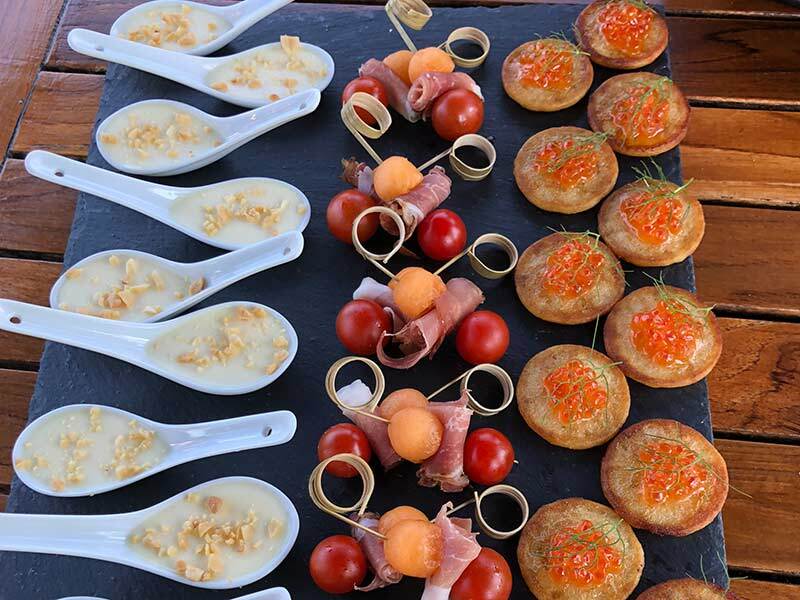 It was not long before the champagne was opened, and our wonderful canapes were on the sun deck as we met one another and decided that yes, life was going to be very good on our French Odyssey. 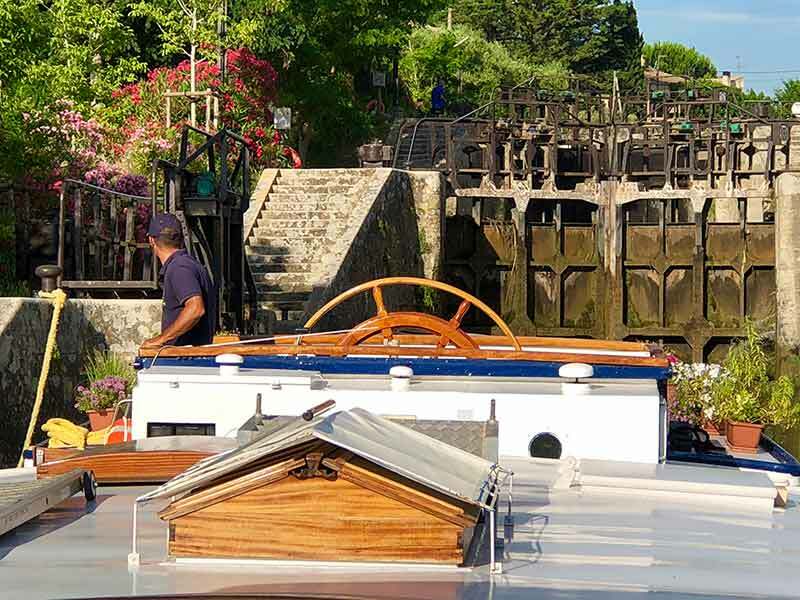 We had an evening cruise along the Canal du Midi, to turn the barge around, before returning to Le Somail for the night. It is too dangerous to cruise on the Canal du Midi at night. The barge and all boats using the waterway travel slowly so as not to damage the banks as this is a protected UNESCO World Heritage Site. 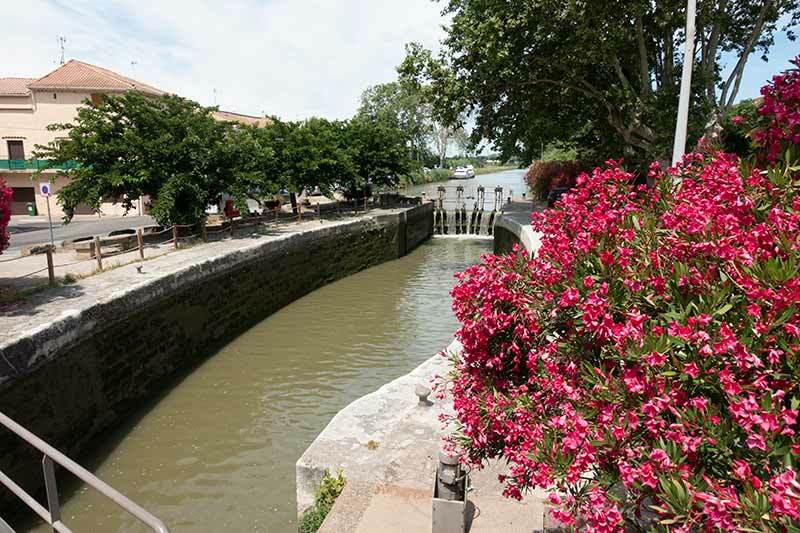 Canal du Midi is over 300 years old. The inspiration and persistence of Pierre Paul Riquet saw that a canal route between the Atlantic and Mediterranean coasts of France, made total economic sense. Convincing others of the merit of his ideas and logic was not easy. 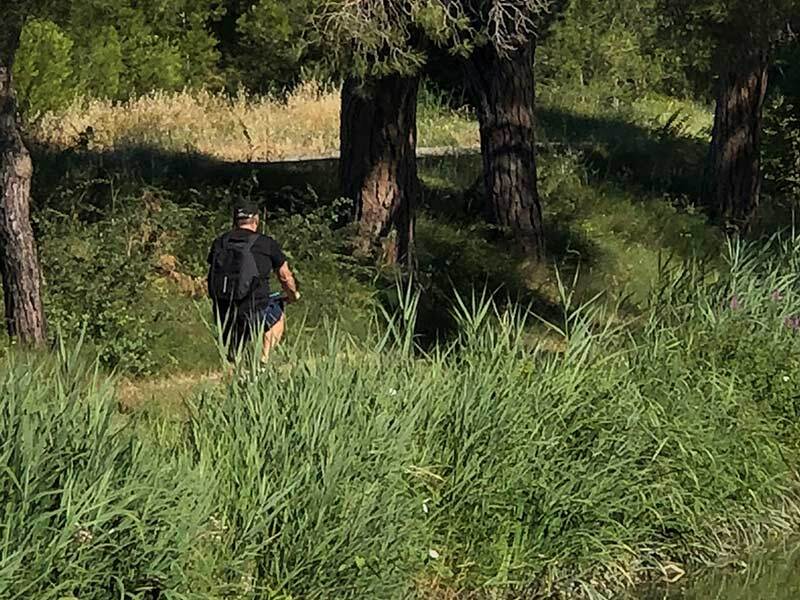 Shortly before the completion of the 240 kilometre (150 miles) Canal du Midi, Pierre Paul Riquet apparently took his own life. 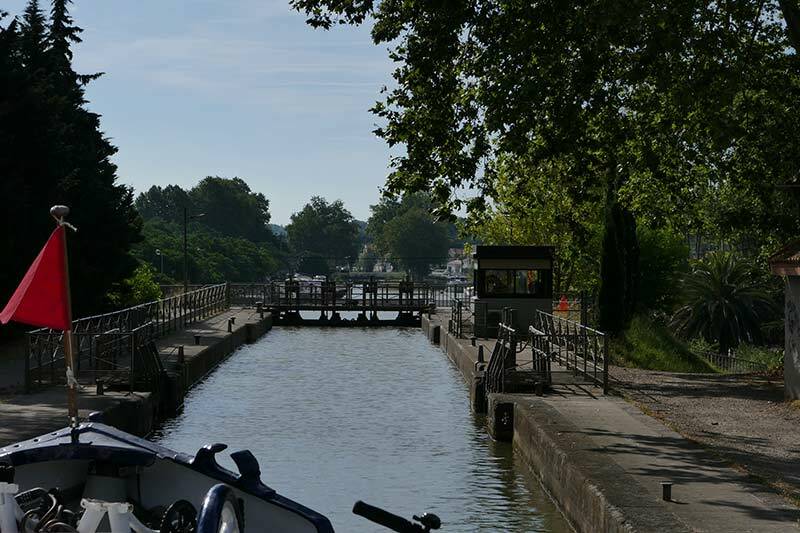 As an aside, in the early days of the Canal du Midi, and its many locks, 91 of which are still operational, the boats and barges were dragged by horses or women, hence the well utilised cycle paths alongside the canal. Now, there is a nice feeling on the canal as boats pass, and people chat and wave to one another. This was a feature of our six days on the Anjodi. Calling out to other people on boats, to the many cyclists who ride along the towpaths or canal paths and to the many walkers. We canal people are a friendly bunch. of the six day luxury hotel barge cruise on the Anjodi. 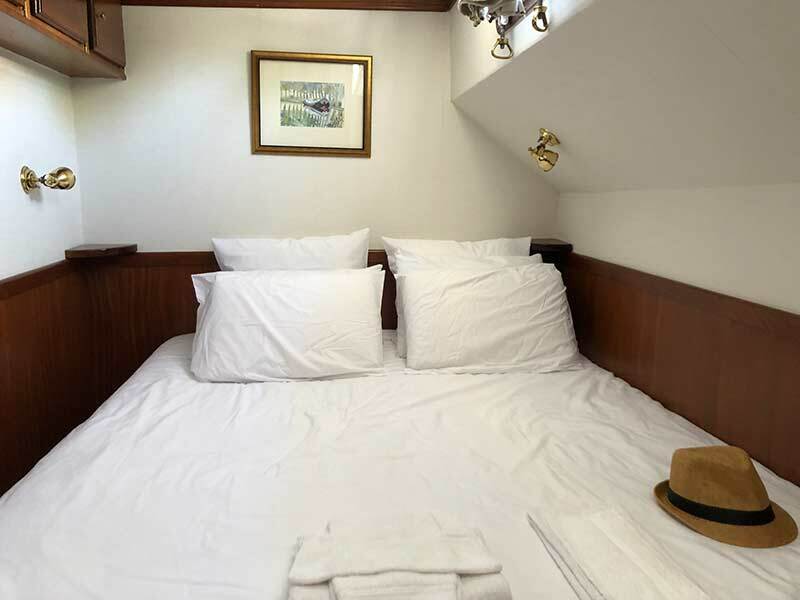 The cabins or staterooms each have names. Ours was called Romarin, meaning Rosemary. 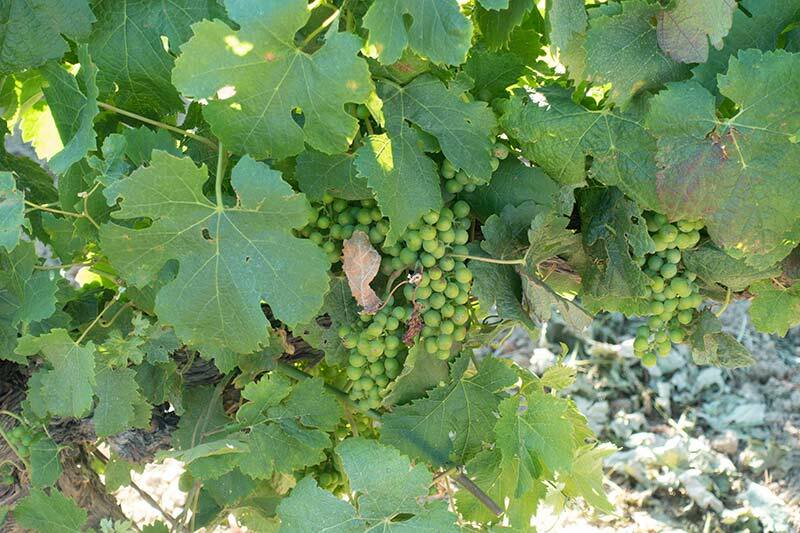 The others were called Lavande, Basilic (basil) and Thym (so it was obvious that food reigned supreme on the Anjodi). The cabins are compact and cleverly designed. Compact means that you have sufficient room but not one where it would be very wise to bring large suitcases. We took just the one case between us, making our cabin very comfortable. The cabins are air-conditioned, yet you can open the port-holes for fresh air. Each has its own private bathroom. We only used our cabins to sleep at night, and perhaps the odd little siesta after our lunch and the ever present local wines and cheeses. If we weren’t visiting a winery or a cute little medieval village, then we might just have embraced the siesta. Just saying that there is something in the concept of siestas and cruising along a canal. We mostly spent our time on the deck, with the fabulous canopy for shade. This is motorised and comes down when you go under a low bridge, and then back up again. A fabulous saloon come dining and lounging area for meals and more. And the jacuzzi. 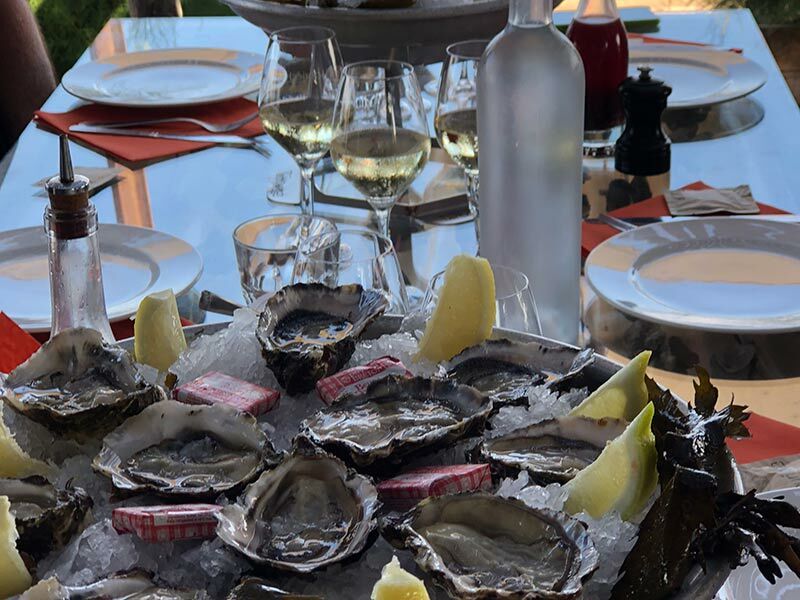 You will not starve or ever be thirsty on a European Waterways barge cruise. Think Michelin style dining every meal and you will be in the ballpark. 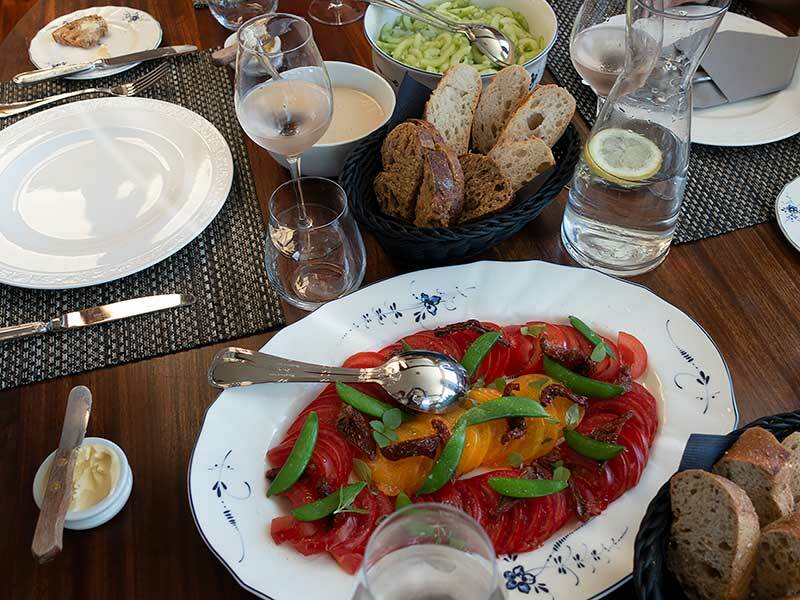 Chef Vivien, knows how to cook, to present and has a gastronomic passion that is insane. 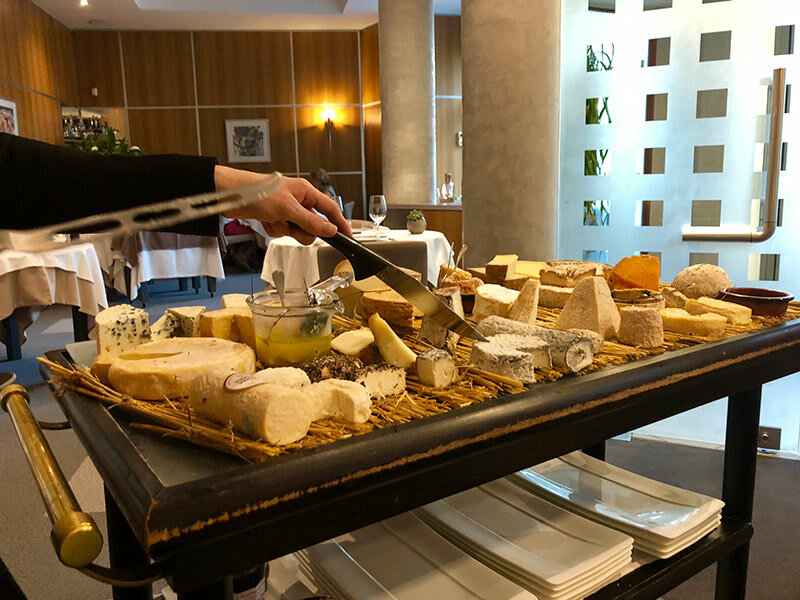 For each meal we started with an entrée, followed by the main, followed by carefully selected regional cheeses, and concluded with deserts, which like all the courses, were works of art, and a gastronomic feast. 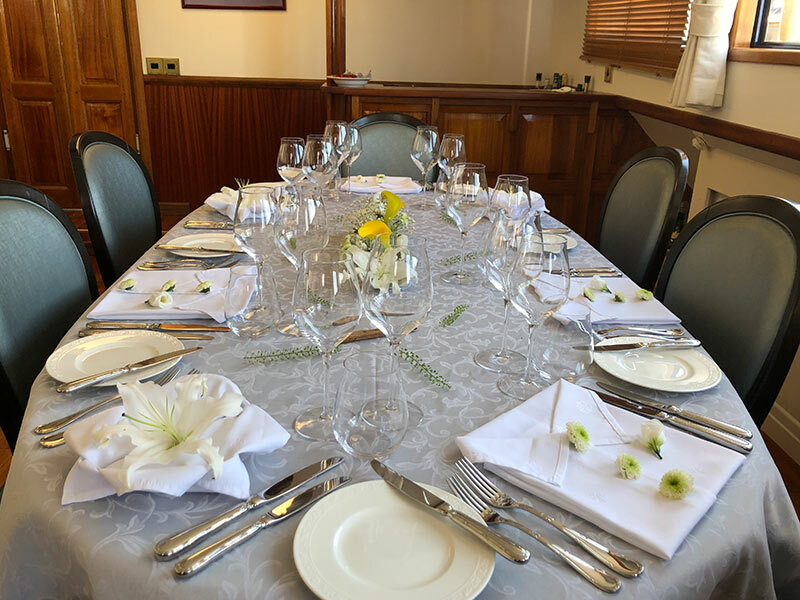 Naturally, each of the courses were accompanied with specifically selected wines, (note the plural there) and also local cheeses and our sommelier and hostess Sandra, knew her craft well. She also knew when to open the bubbles as soon as you set a toe into the jacuzzi, when it was G&T time, and also kept our staterooms immaculate, not to mention just spoiling us constantly. We were privileged to have not one but two tour guides. The very experienced and pregnant Ingrid, and the new and local man, Fabian. In fact this time all of the crew were French and local, and all spoke extremely good English, and that was great because basically our French is awful. It amazed us all how much they knew and how very educated and knowledgeable they were. Not only did we get a lot of great information on the organised tours, but we could ask them anything about French life in general. I have said it before, and I will say it again, meeting local people is the best part of travel. That included our tour guides, the chef, our hostess and our amazing, and magnificent Captain Laurent. (ok, he told me I had to use those adjectives, but I would have anyhow). Staying at Le Somail, the pretty little village festooned with flowers, a circular tower, an interesting second-hand bookshop, and a hat museum. 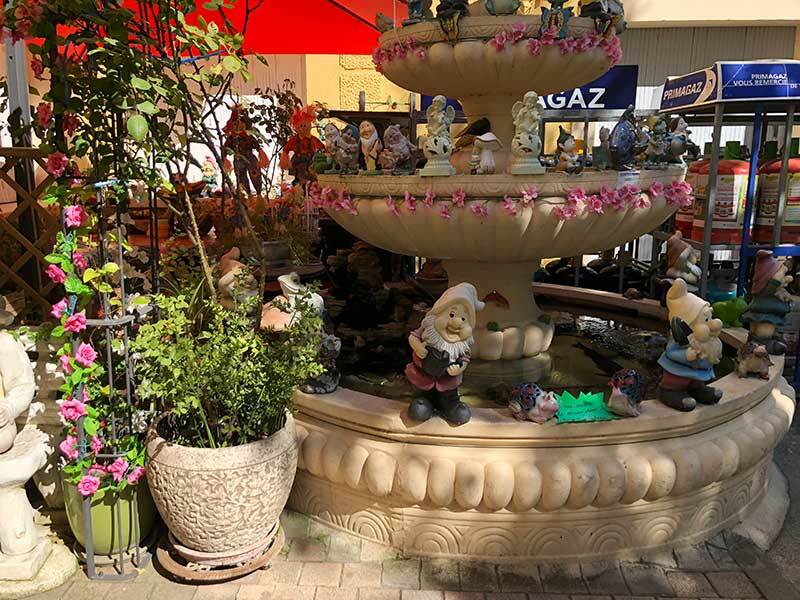 Exploring Sallèles d’Aude and seeing the most unusual garage/service station festooned with ‘gnomes’ for heaven’s sake. 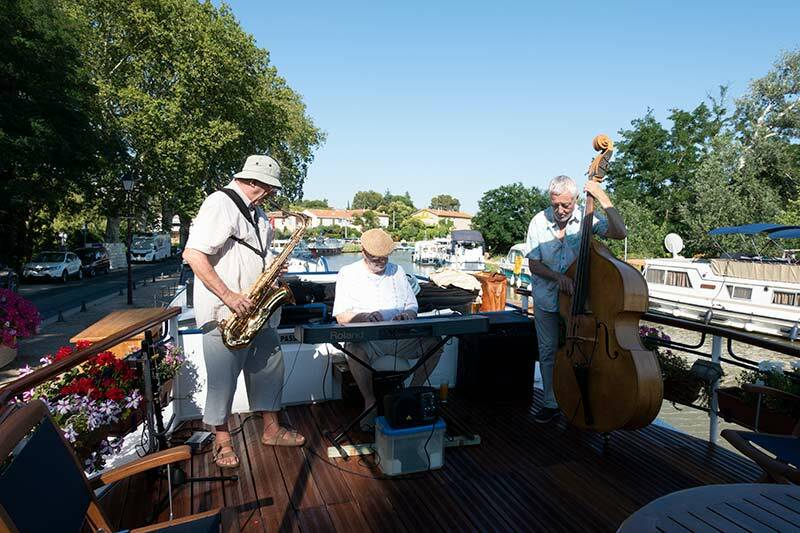 Being entertained by a trio of musicians at Capestang, as the Canal du Midi quietly drifted past, and fellow travellers enjoyed the music also, whilst we had wine tastings, and a local market just emerged on the streets of the village, across from our barge. 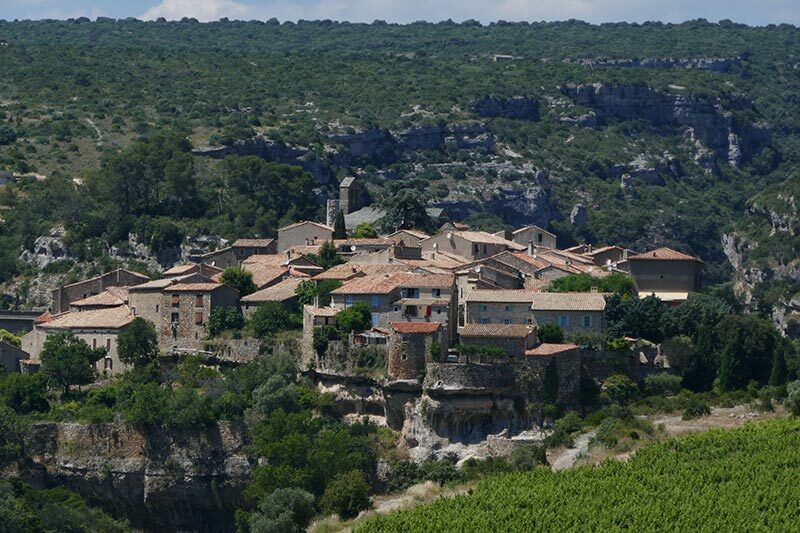 A visit to the spectacular hilltop village of Minerve, with its 12th century Cathar fort, where parents must fear for their children’s lives so high up is the village and so surrounded by deep deep gorges. 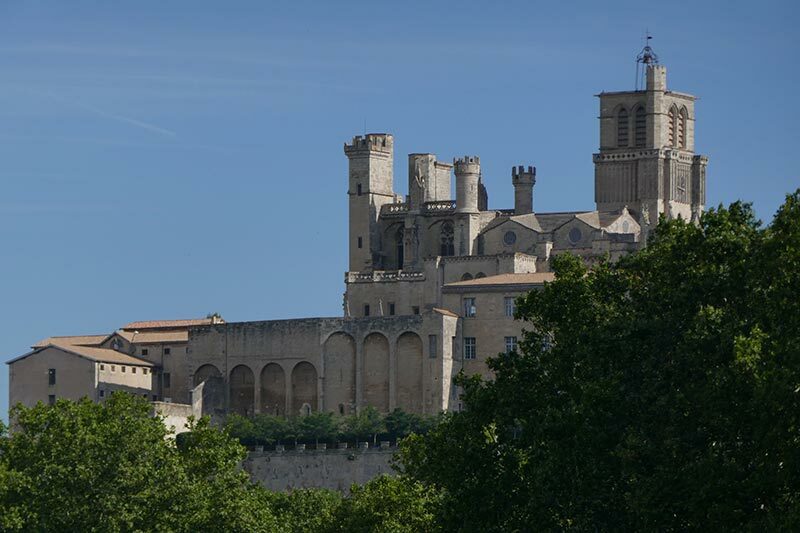 As a side note, read about Cathars before you go on the cruise. 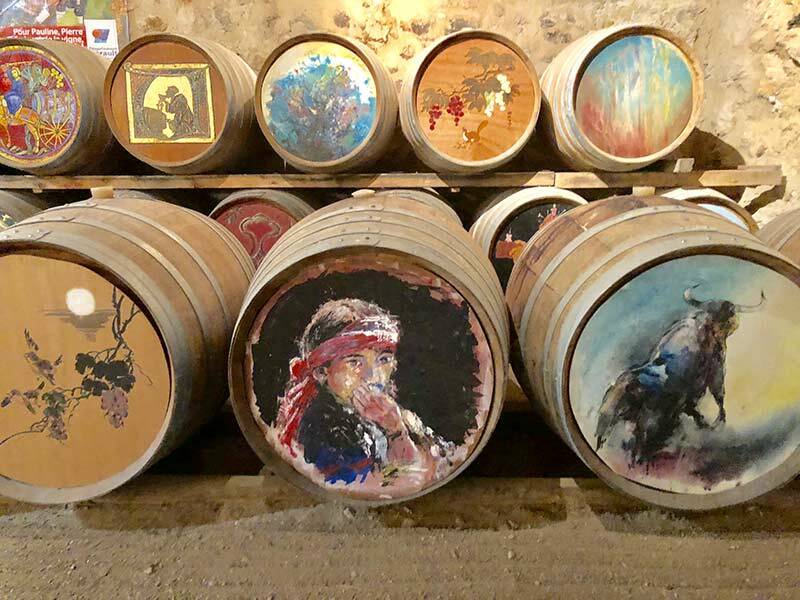 You will understand a lot more about this region of southern France if you do. In brief, the Cathars were a religious movement, and Cathar practices were often in direct contradiction to the Catholic Church. Yet there is a lot more to it than that. 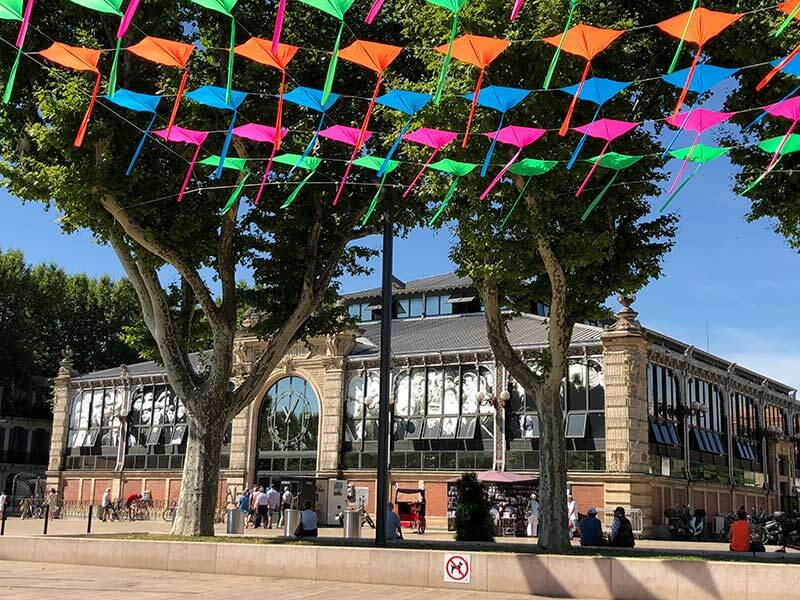 If you look at the Massacre at Béziers, which we also visited on our luxury hotel barge cruise, you will understand a lot more. 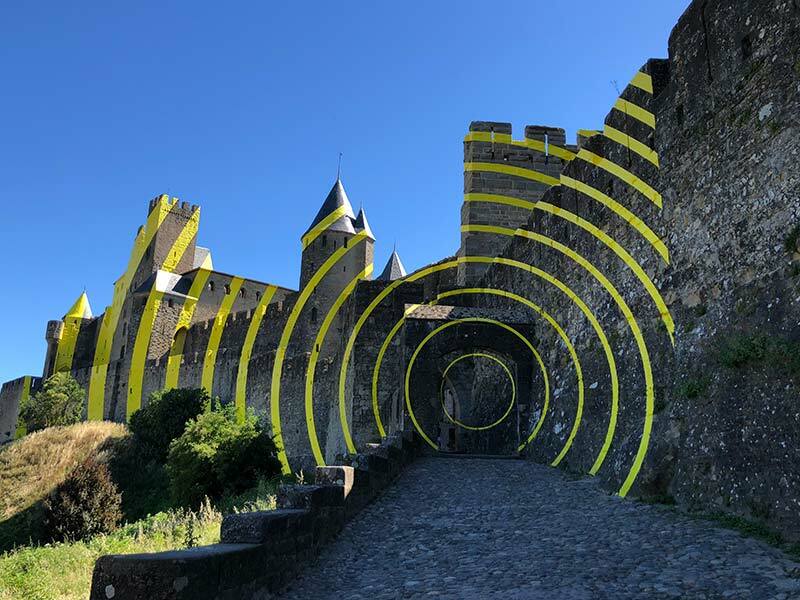 Here is a link, that you can read about the Cathars later. Dipping our toes into the Mediterranean Sea because we could as we were so close. Bike riding along side the barge cruise, because Gordon could .. I can’t ride a bike as you know. 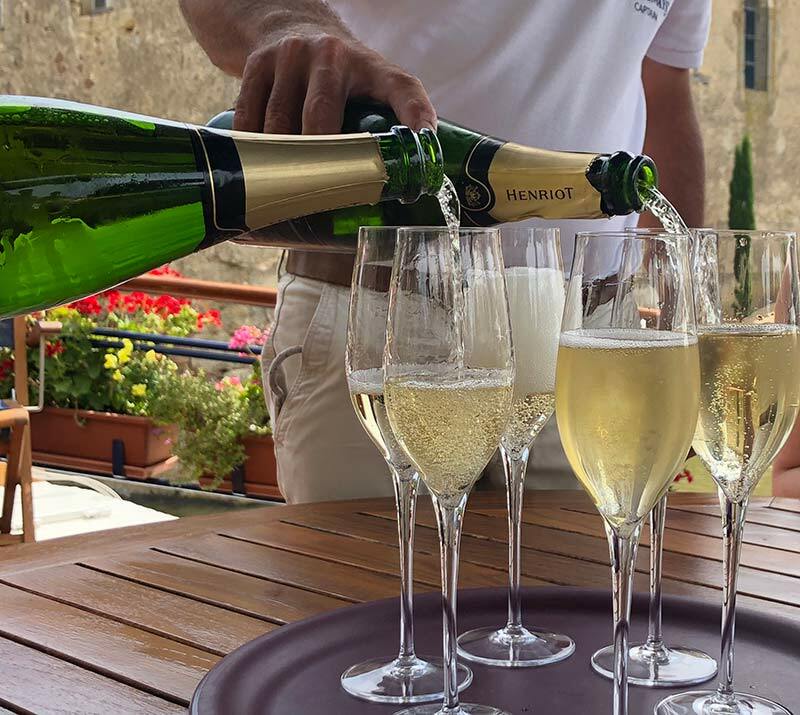 Having our own private wine tasting at the 14th century Château de Perdiguier, because we were not getting enough already on the Anjodi, and yes that is facetious. Going through the locks including Agde Round Lock, the only round lock in the world, with a huge audience of local spectators. The pressure was on our Captain, and he deserved the cheers he received. 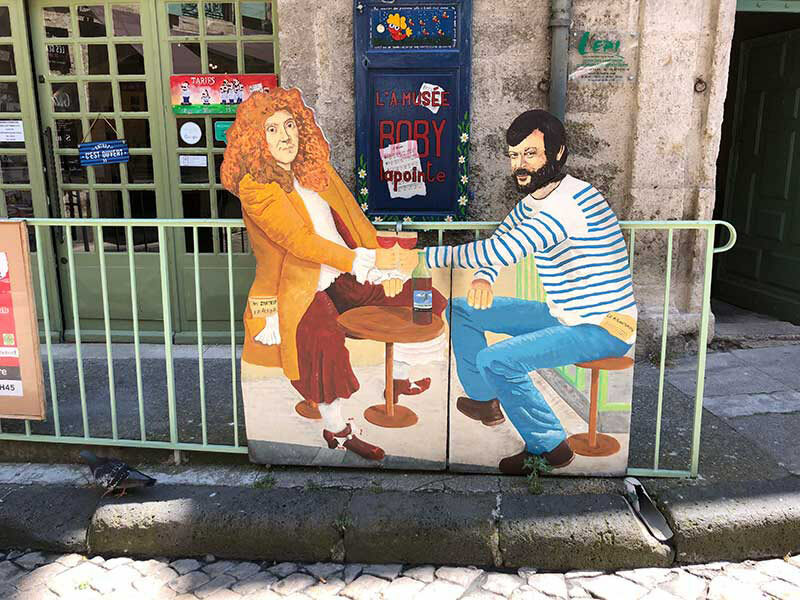 A visit to playwright Molière’s town of Pezenas, and a wander through a ‘door restoration museum’; which was fascinating. 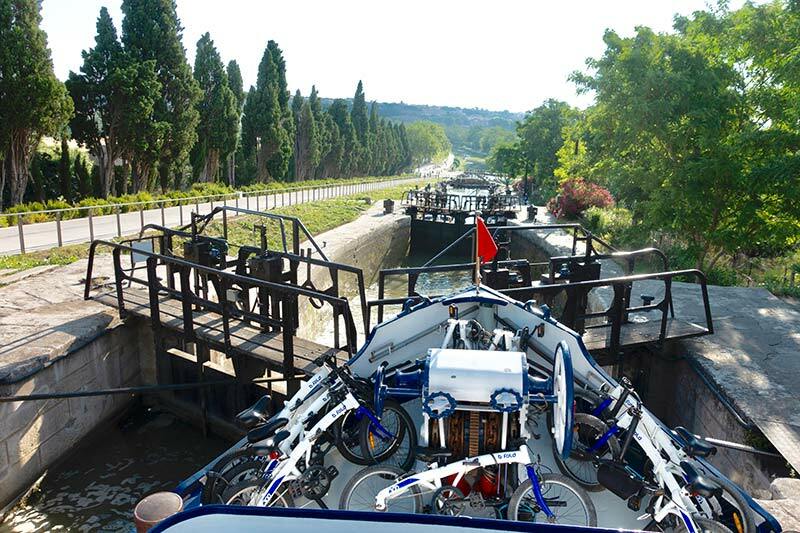 Navigating through the cascading seven locks at Fonserannes, which is an experience of a lifetime. Seeing flamingos, albeit at a distance, but since they were supposed to be in Africa, this was a bonus. Ok, Gordon is not staff, but that is how lovely they are … with Captain Laurent keeping a very vigilant eye on him. The Anjodi, like the L’Art de Vivre luxury hotel barge works because the staff work so well together. 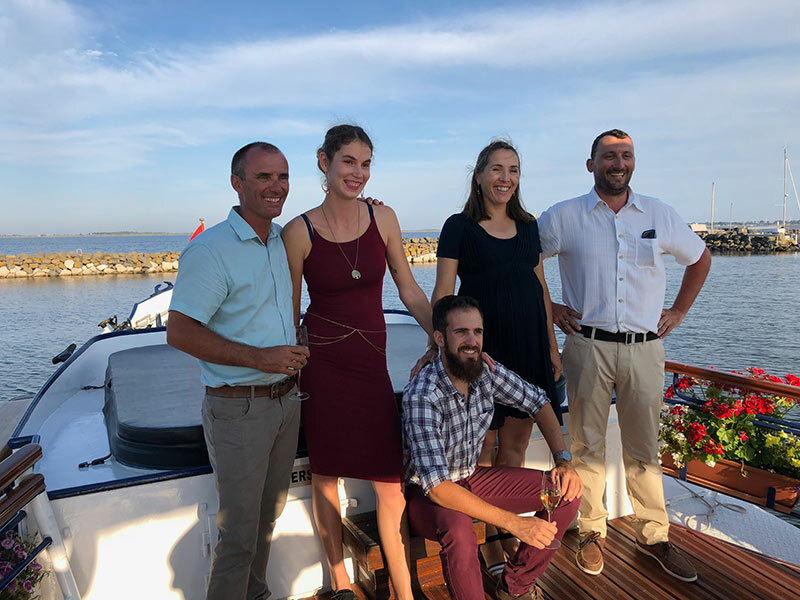 We had the distinct pleasure of meeting Melissa, from L’Art de Vivre when we mentioned to Captain Laurent how much we admired her, and he organised for her to come and see us in Capestang. Nothing is ever too much trouble for the crew. I remember when we worked with The Oberoi luxury hotel in Bali, and the hotelier, Mr Oberoi said ‘the devil was in the detail’, and that everyone’s needs should be anticipated. Well, European Waterways have taken this model and expanded on it. Two trips with the same company and two times the most incredible experiences. Questions about a luxury hotel barge cruise? Is a luxury hotel barge only for old people? Well, we are not old! A group of young men had been on the barge cruise a few weeks earlier …something about a blow up doll, became the figure head. Just saying. On the previous luxury hotel barge cruise, a man had rented it out for his family to have a multigenerational holiday. Hardly. You can choose to do as little or as much as you want. The daily trips are optional, but you definitely should do them. 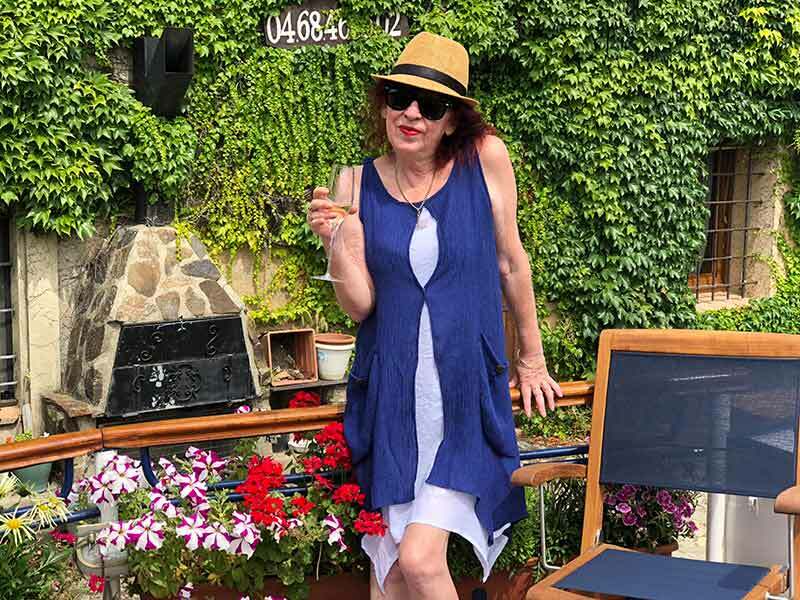 You can sit in the jacuzzi and watch the vineyards, and French villages go by while drinking some champagne, or even fruit juice should you wish. The countryside is glorious. It was our French Odyssey and we loved it … again. It should be noted that European Waterways have luxury hotel barges in a number of other countries, and a whisky tasting luxury barge cruise in Scotland, has our name written all over it. 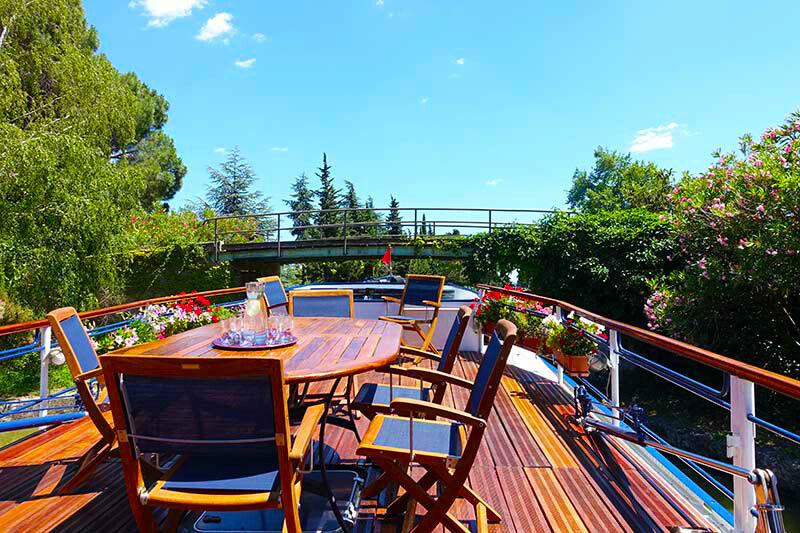 Find out more about the luxury hotel barges, click this link. We were the guests of European Waterways, but all opinions are our own. It’s obvious that you’re having an amazing experience rooming around the city, you’re so lucky. I love that luxury hotel barge. It’s simply comforting.